Andy Murray sparks wild celebrations as he becomes the first Scot to win the Men’s singles title at Wimbledon since Herbert Lawford in 1887. Andy Murray won at Wimbledon with a straight sets victory against Novak Djokovic, the World number 1, proving himself once and for all to be one of Scotland’s greatest living sportsmen. The three set victory was a masterclass in triumph over adversity and tenacity as Murray came back from two breaks of serve and being 4-1 down to win the first set 6-4. 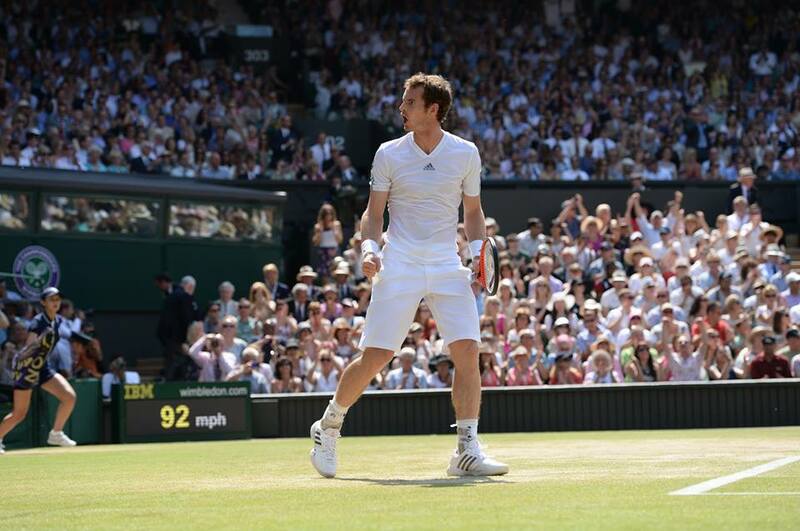 Held on what was the hottest day in the UK so far this year, Murray described the match as “brutal”. He went on to win 6-4 7-5 6-4 and claim his second major title. Murray said: “It was an unbelievably tough match, so many long games.